The surface treatment recipe used for the production of 800 superconducting European XFEL cavities was developed by DESY and its partners. Required infrastructure was prototyped in-house and later used to define standards for the industrial production. A large number of TESLA cavities were prepared by DESY since the mid 90-ies. Today emphasis is on smaller production series but also on special cavities like SRF guns, single-cell or cavities from research partners. Further optimized recipes are under study. 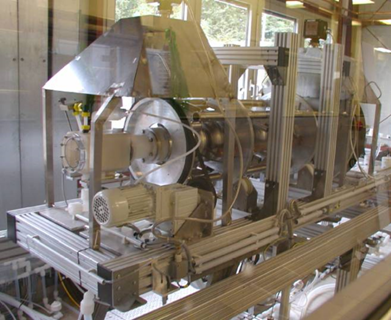 Larger parts of the infrastructure are installed either next or even in the clean rooms used for the particle-free assembly of cavities to test stand inserts, or to complete cavity strings. Electro-polishing of superconducting cavities is part of the state-of-the-art surface treatment. The shown infrastructure is operated at DESY. The equivalent devices at cavity vendors are based on the DESY version. 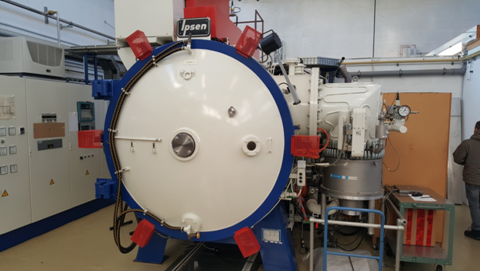 Ultra High Vacuum (UHV) ovens are used to high temperature treat niobium cavities prior to the chemical surface treatment. While industry needs to produce and treat cavities with well established procedures, new recipes can be developed in the research laboratories. Recently DESY modified the shown oven to follow new baking schemes developed by partners at Fermilab / U.S.
Dry-ice cleaning is successfully used to surface clean normal-conducting accelerating structures. The treatment of superconducting cavities is under study. 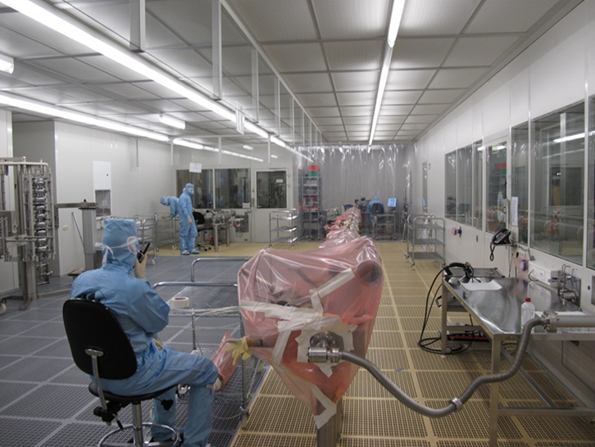 The assembly of superconducting accelerators requires large clean rooms of ISO4 class. DESY is operating such infrastructure since almost 25 years. 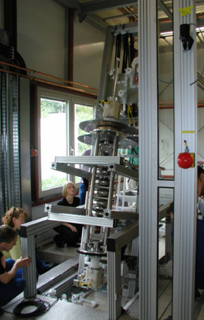 The picture is taken during the so-called string assembly of a standard European XFEL accelerator module.